Time for some exploration! After the aircraft had left, this English team decided to take a look at the mysterious reserve runway at Templin. 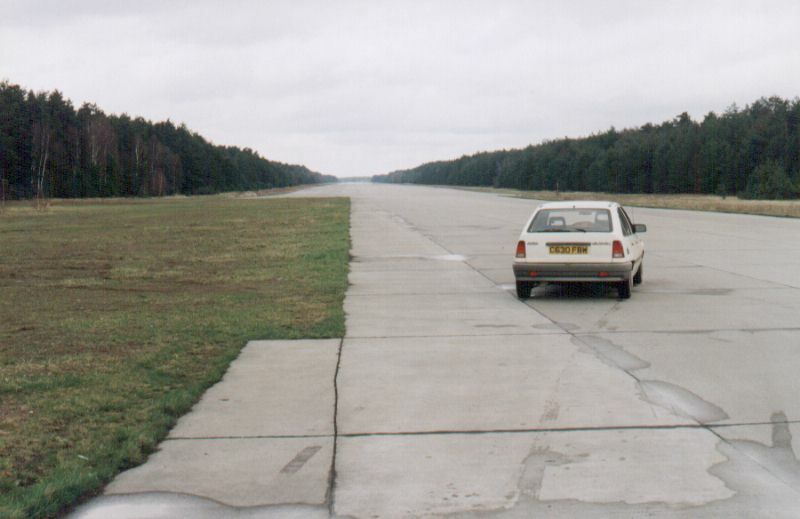 Here the car is seen at the south end of this runway. Closeby were bomber dispersals that on occasion were used by Tu 16's on deployment.